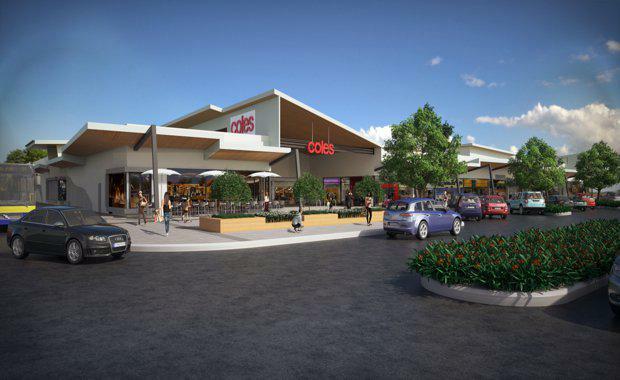 The $1.5 billion Casuarina Beach township on the NSW Tweed Coast has reached one of the biggest milestones in its 15-year evolution with the commencement of construction on the long awaited Coles Casuarina retail hub within the town centre. The start of works on the Coles Casuarina retail centre was today welcomed by developer Consolidated Properties and capital partner CVS Lane Capital Partners as a fantastic outcome for Casuarina Beach residents and the surrounding Tweed Coast Community. Consolidated Properties executive chairman Don O'Rorke said, "The Coles-anchored Casuarina retail centre is the final piece in the jigsaw at Casuarina Beach. We always envisaged a retail and commercial heart for the community and we're delighted that at last we are delivering on that promise. ""It has taken almost a decade of work to reach this point and I would like to acknowledge the professionalism and rigour of the NSW Department of planning and Tweed Shire Council officers who worked on the various applications for the retail hub. "The new $25 million neighbourhood centre retail hub will include a 2500sqm full-line Coles supermarket together with 12 specialty stores covering a further 1300sqm and parking for 237 vehicles. Construction works began this week with an earth-breaking ceremony by Mr O'Rorke alongside CVS Lane Capital Partners executive director Lee Centra and Coles Supermarkets senior executives. Mr Centra said CVS Lane Capital Partners was proud to be partnering with Consolidated Properties to deliver a high quality neighbourhood shopping centre for the Casuarina Beach community.